In November 1917, a local oil baron united Chechen, Ingush and Ossetian peoples in a Mountain Republic, allied with Germany. The Republic had the distinction of being defeated by both sides in the Russian civil war – first by the Reds, in March 1918, then by the Whites, in May 1919. 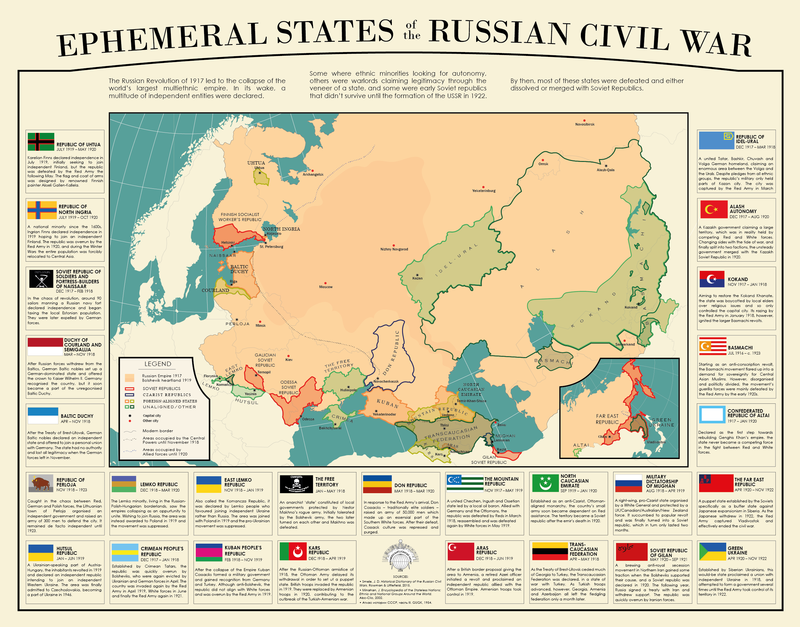 Just one of many very obscure and short-lived nations from Russia's civil war. The Republic of Uhtua, the Soviet Republic of Soldiers and Fortress-Builders, Green Ukraine (which was in the Far East), the Confederated Republic of Altai, the list goes on. Some of them had interesting flags too. The Republic of Perloja wins the flag contest.